The Senate Judiciary Committee approved William Barr’s nomination to be attorney general Thursday in a 12-10 vote along party lines. Democrats have raised concerns that he may limit the scope of special counsel Robert Mueller’s investigation into Russian meddling in U.S. elections. 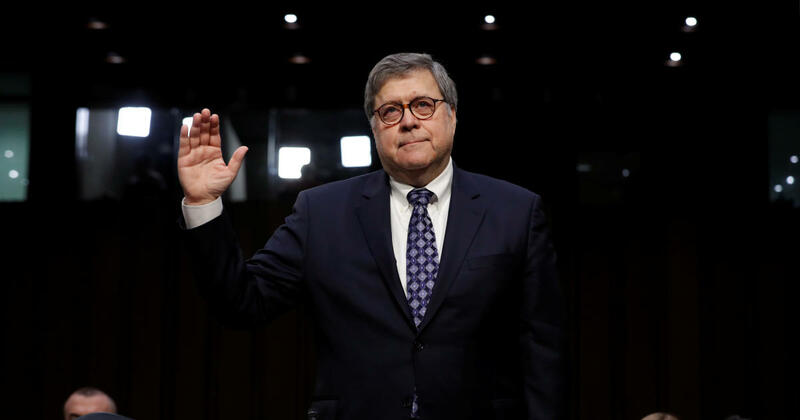 The nomination will now be sent to the full Republican-controlled Senate, where Barr is also expected to have enough support to be confirmed in a vote that could come as early as next week. Before the committee vote, ranking member Sen. Dianne Feinstein, D-California, called a memo in which Barr was critical of Mueller’s probe “disqualifying,” saying she’s worried that he has not committed to releasing Mueller’s report to Congress. She also raised other concerns, including his reluctance to clearly categorize waterboarding as torture. South Carolina Republican Sen. Lindsey Graham, the committee’s new chairman, had urged his colleagues to confirm Barr and allow him to take the helm of the Justice Department, which has been led on a temporary basis by acting attorney general Matthew Whitaker since then-attorney general Jeff Sessions was ousted in November. If confirmed by the full senate, Barr will assume oversight of Mueller’s far-reaching investigation, which is also probing possible coordination between Trump campaign associates and the Kremlin. Since the president announced Barr’s nomination in early December, Democratic lawmakers have raised doubts about Barr’s ability to remain neutral while overseeing the investigation. During his confirmation hearing in January, he assured senators of his independence and said he would not be bullied by anyone into doing something he believes is wrong if he takes the helm of the Justice Department. Barr, however, did suggest he might not release Mueller’s final report to the public. For instance, he suggested that in the event prosecution is declined, the findings may not be made public. Democrats and many Republicans have said they believe Mueller’s final report should be fully released. Barr also said he agreed with longstanding Justice Department protocol that says presidents can’t be indicted while in office.